Please use the West entrance to the Chapel. Jeane Banger, age 84, of Holland, went home to be with the Lord on Wednesday, December 12, 2018. 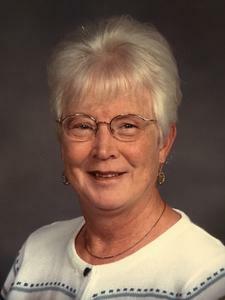 She was a lifelong resident of Holland and a graduate of Holland High School. Jeane was married to Ren for 50 years and was a loving, caring wife all those years. Together they had 6 wonderful children. Mrs. Banger was very active in church throughout her entire life, leading Bible studies and planting a church in Florida. In her free time Jeane enjoyed crafts, reading, gardening and spending time with her dog. She was preceded in death by her husband, Regnold; parents, Clarence and Velma Nies; parents in-law, John (Jennie) Banger; brother, Earl Nies; brothers in-law, Rev. Robert Pumfrey, Julius (Janet) Banger; sister in-law, Ange (Bill) Bosma; great granddaughter, Celina Lou Zuidema. Mrs. Banger is survived by her children, Linda (Bob) DeBoer, Christine (Chuck) Zuidema, Jim (Lori) Banger, Pat Vanden Bosch, Peggy (Tim) Birce, Elaine (Terry) Van Hekken; 15 grandchildren and 22 great grandchildren; sister, Carole Pumfrey, sisters in-law, Flo Nies, Louise (Gerald) Ortman. The family would like to thank the staff at the American House and Hospice of Holland for the excellent care given to Mrs. Banger throughout her stay. Visitation is 2-5pm, Sunday, December 16, at the Dykstra Funeral Home – Mulder Chapel, 188 West 32nd Street, Holland. A funeral ceremony will be held 11:00am, Monday, December 17th, in the chapel at Central Wesleyan Church, 446 West 40th Street, Holland, MI. Pastor Larry Johnson Officiating. Please enter through the west entrance. Interment in North Holland Cemetery. Memorial Contributions can be made to – Hospice of Holland, 270 Hoover Blvd, Holland, MI 49423.